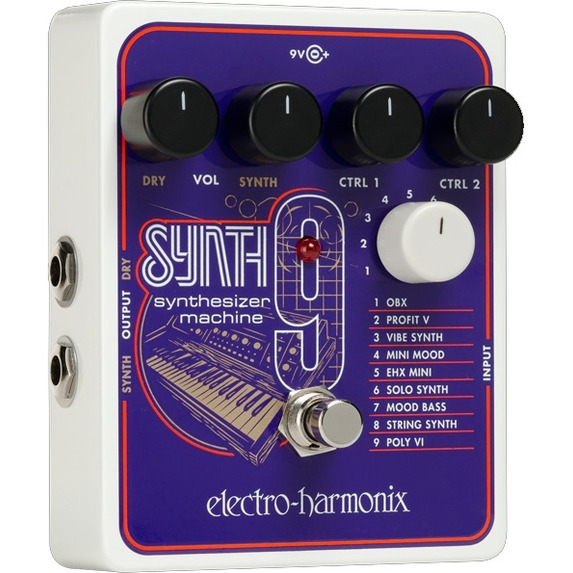 The polyphonic SYNTH9 Synthesizer Machine transforms your guitar or bass with 9 presets that were precisely tuned to emulate the most sought after, vintage synthesizer sounds ever! From searing lead synths to spacey synth pads and deep, funky, synth bass grooves, it's all accessible. 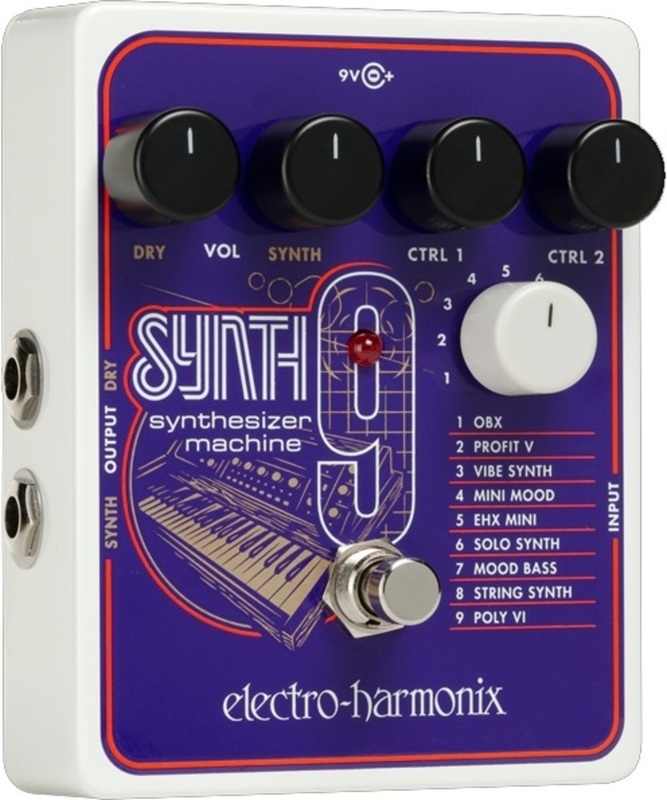 If you dig the kind of classic synth sounds made famous on recordings by groups like ELP, EVH, Kraftwerk, Joy Division, P-Funk, Peter Gabriel and more, we think you'll love the SYNTH9. 2. 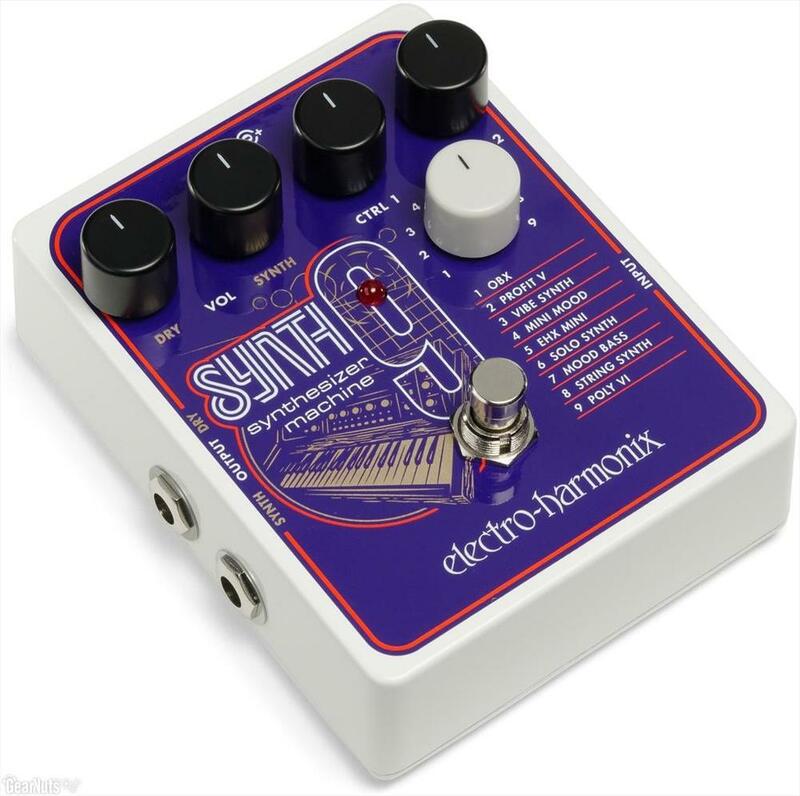 For optimal playability, set the guitar's pickup selector to the bridge pickup and turn the volume knob all the way up ("10").